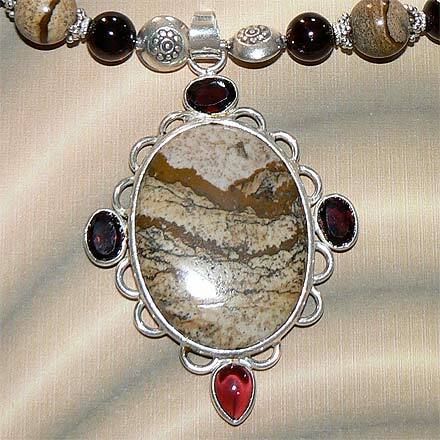 Sterling Silver Picture Jasper and Garnet Necklace. See Closeup. 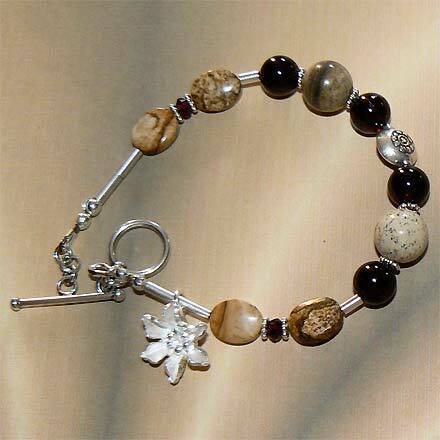 Sterling Silver Picture Jasper and Garnet Bracelet. 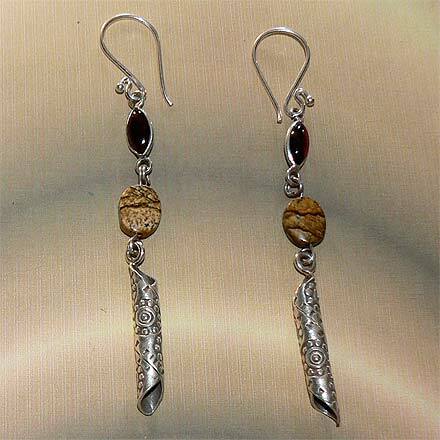 Sterling Silver Picture Jasper and Garnet Earrings. 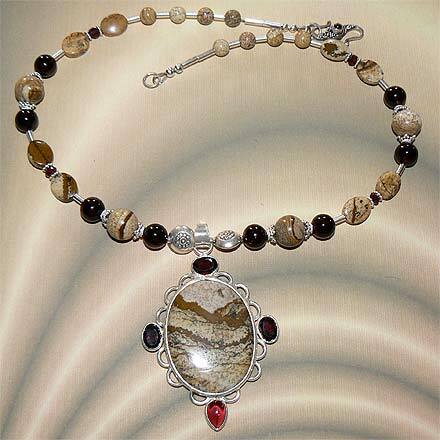 This pendant has a great Western Mountain scene painted by nature with Picture Jasper. It is surrounded by three faceted Garnets and one Garnet Cabachon.